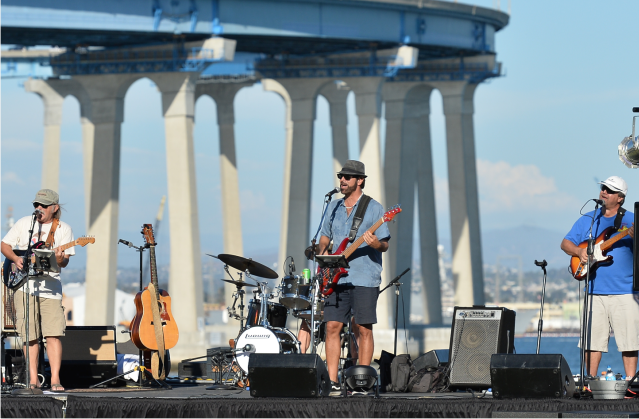 July 1st at 6:00 p.m.
Coronado’s own Ron’s Garage brings together a team of talented musicians as adept playing for thousands in Spreckels Park as they are bringing all of Orange Avenue to life on an afternoon from the patio at McPs. With their expansive repertoire of classic and folk rock standards the quartet of Ron Wheeler, Claudio Martin, Gary Taylor and Phil Lean will transport you to the best musical moments of the 1960s and 70s to the current music of today. The band began in 1994 starting in local Coronado establishments as a three piece ensemble. Now, the band has changed into the four piece group now playing for audiences at a wide range of venues.